Having Pain Lifting Or Reaching Overhead? Is This Holding You Back From Your Next Personal Record? Don't Be Held Back Unnecessarily From Problems That Can Be Fixed! Why isn’t this SHOUDLER PAIN going away? Am I going to have to live with SHOULDER PAIN OVERHEAD forever? Mistake #6: Getting relaxing massages to temporary relieve SHOUDLER PAIN, only to find it comes back after the massage wears off. And that’s why we’ve created a free SHOULDER PAIN guide for you. 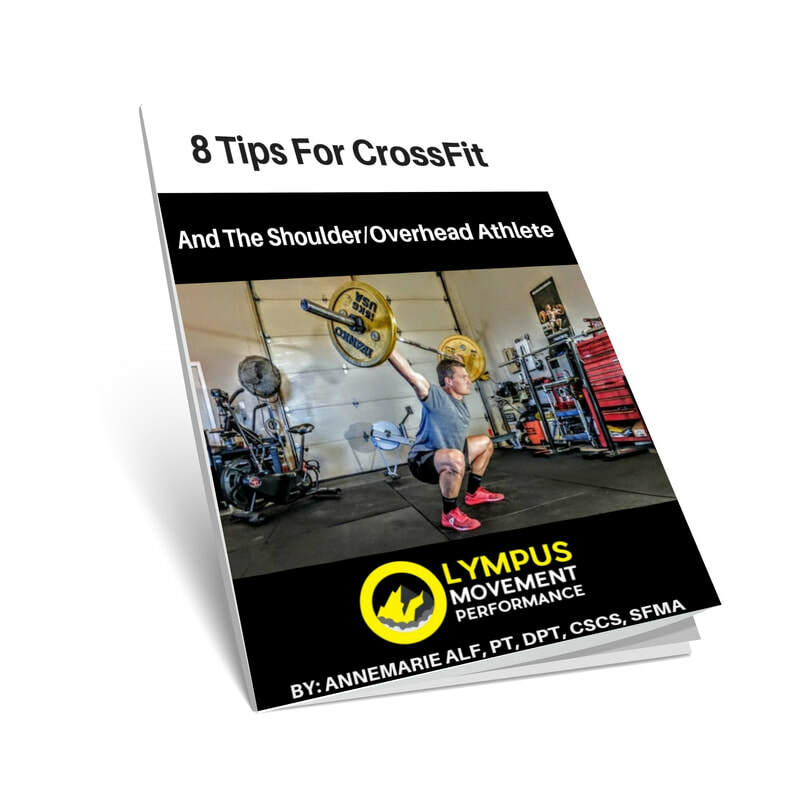 It goes over PAIN IN The Shoulder/Overhead Athletes (and you can click on the button above to download it). "Olympus is the best fitness facility I have been too, and I’ve tried my fair share. Annemarie and Britt are amazing instructors and take the time to connect with each one of us. They’re there to make sure you are properly doing each exercise, and there to offer a modification if needed. As someone who struggles with a previous knee injury there is no exercise that can’t be modified, and they make sure that everyone has an option no matter your what your skill level or injury may be. Every day is a new challenge with different exercises. I like that the class incorporates more than just your typical circuit workout and every week your building on your strength. Stretching, movement prep, Strength and ends with varied circuit type training. In the year that I have been going to Olympus I have made great improvements with my fitness. I was not a fan of working out, but I now can’t wait to get back in the gym each day all thanks to Annemarie & Britt and their continued encouragement, and support." "I cracked my scapula in a mountain bike race and Annemarie taped my shoulder brilliantly so I could improve posture, minimize pain, and maximize recovery. She also showed me movements I needed to do to help speed my recovery and strengthen the surrounding muscles. I was 100% within a few weeks with full range of motion. Thank you!"